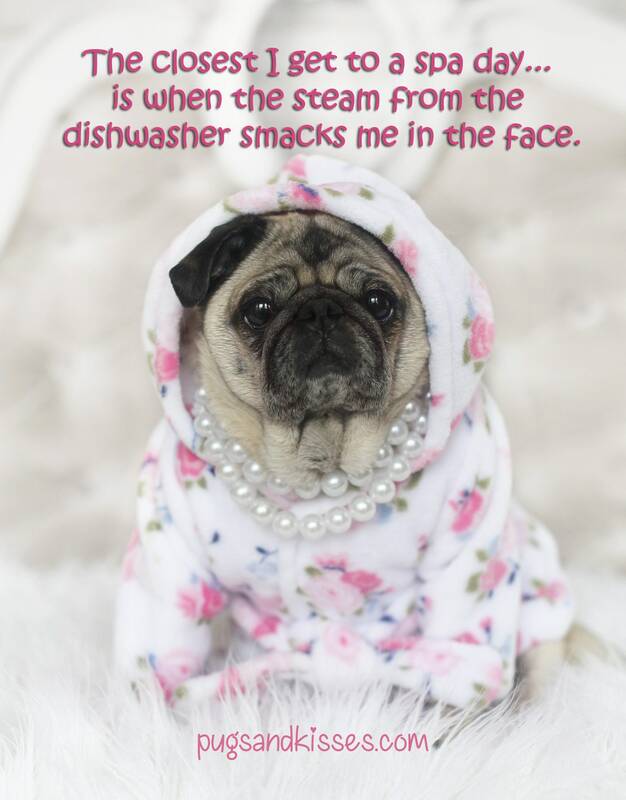 This funny and adorable magnet featuring pug, Theodora Grace, is sure to make you giggle every time you see it on your refrigerator... or any other place that takes a magnet! It makes the perfect little gift, too. Your friends will chuckle for certain! 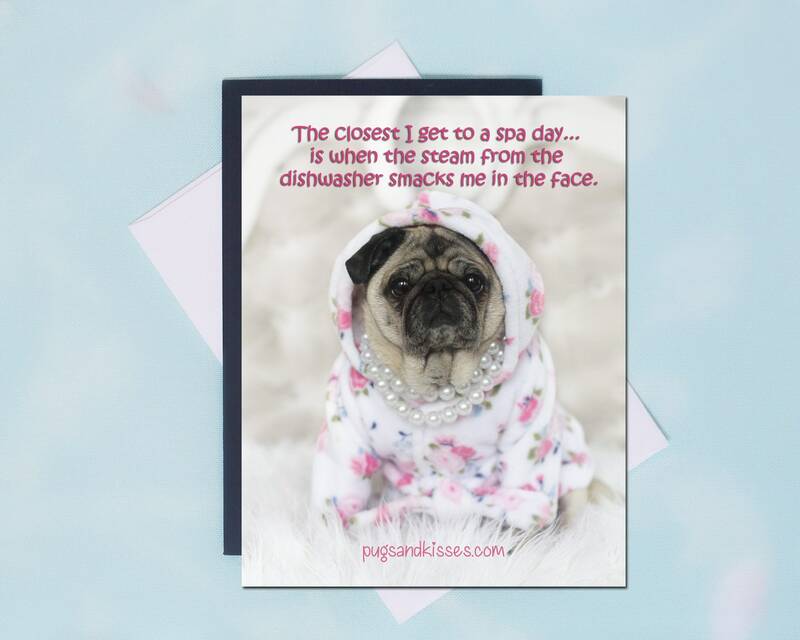 This item is one, "The Closest I Get to a Spa Day" 4x5 magnet by Pugs and Kisses. "The closest I get to a spa day... is when the steam from the dishwasher smacks me in the face." The magnet is 4x5 inches. It is beautifully printed, can be placed anywhere that takes a magnet and comes with a high-end, thick white envelope.